Liberally Lean From The Land Of Dairy Queen: Texas Monthly vs. Irony: Who Ya Got? 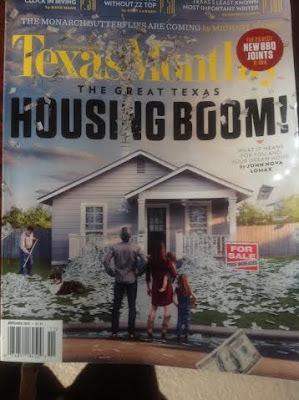 Texas Monthly vs. Irony: Who Ya Got? The cover story of this month's Texas Monthly is fascinating. It features how the housing market is out of control (headed for disaster) and that most people can't afford real estate and struggle to even find an affordable apartment . 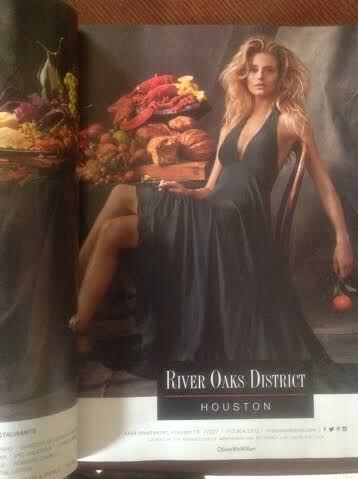 . .
Then, about five pages in, there is this ad for a high end area of Houston. It's Friday. Let's Get Out Here. Get Me This (Drunk?) Panda! Get Me These Baby Goats!